If you need something upholstered, Shoreham Upholstery is the place to go. Located in Addision County, Vermont, Shoreham Upholstery is just 12 miles west of Middlebury and in-between Rutland and Burlington near Lake Champlain. If it holds still long enough I can upholster it. 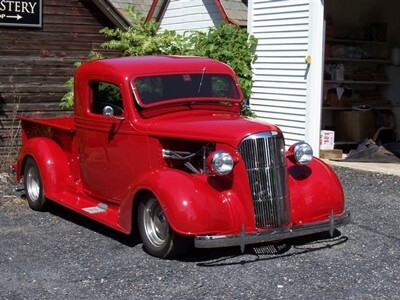 Jim has specialized in custom or original designs in hot rods, classic cars, boats and motorcycle seats. His designs have won their owners awards at many shows. He also does repair and restoration upholstery on any kind of car. From convertible tops, carpeting, side panels, headliners and dashboards, they can do it. Shoreham Upholstery has restored a wide array of vehicles from Volkswagens to Ferrari’s. We also do exceptional furniture upholstery on chairs, sofas, ottomans, antique pieces, dental chairs and office furniture. We carry an extensive array of fabrics and materials from vinyl to leather and tapestry to silk. Work is done by appointment only, please call for an appointment.